It Gets Even Better - JAMin. It Gets Even Better is a positive and reassuring journey that pursues the dual purpose of testimony and exhortation. Author Jeffery P. Andler offers historical highlights of his unprecedented experience of God-ordained ministry and blessing, after emerging from equally unprecedented depths of hurt and betrayal. This journey has been born of a desire to develop a lasting record of God’s faithfulness that will encourage others who may find themselves in desperate circumstances, drained of all confidence and hope. Along with the historical record, the author includes words of practical application and confirmation regarding the promises, presence, and provision of God. Truths that he once considered so familiar, but now has experienced more fully and completely. The depths of Andler’s experiences will provide guidance for the reader to draw upon when facing their own challenges. When we experience unprecedented disappointment in people, it can indelibly impress upon us that people must never be the object of our faith and trust. While humiliation is unpleasant and embarrassing, it can permanently remind us of our ultimate weakness and need for God—who is greater and stronger. Wherever you may be in your life’s journey, you can find that It Gets Even Better. Have you ever had a wart on your nose and didn’t want it there? Has your house ever burned down? Perhaps you couldn’t get into college. Has there been a time when you wondered if you deserved something that was happening to you? Did you lose your job? Can you never seem to satisfy everyone? Are there times you feel as if you appear foolish? Have you ever felt, or do you now feel, destroyed, worthless, helpless, crushed and defeated? Do you wonder how you’ll ever get past this mess? Are you wondering what to do next? I have known Jeff Andler for a long time and followed him through the years. As you read, you will trust, appreciate, and desire to thank him for sharing in such a unique way, things which can make life even better for you and yours. I have even suggested to him that he consider an edition of this book for teenagers and children, because the lesson it teaches is for everyone. READ ON! It’s about to start getting better for you! Remember, as you read—and as Jeff reminds us, whatever has happened to you is not nearly as important as what has happened since then. Like so many others, you may find yourself in the lowest place ever. The following pages cause us to realize that your present place is truly unique! It may not feel like a good place to be, but it is a great place to begin. Not a good place to stay, but a great place to start! 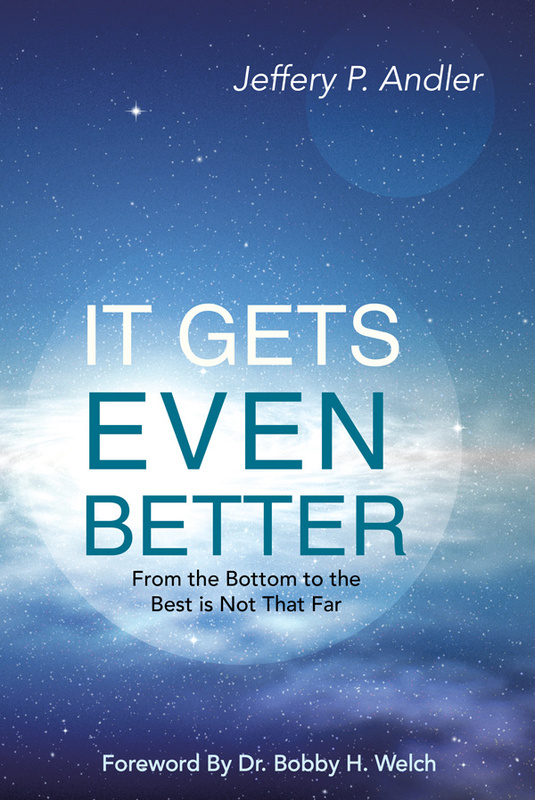 “It Gets Even Better,” is a candid reminder that the believer’s journey will include ups and downs, good days and bad, and laughter and tears. Jeff Andler gives a heartfelt picture of his spiritual journey, which beautifully illustrates how God is at work to give His very best to all of His children. Not only have I read the book, I’ve watched the author’s passion for the Word of God and its application in his life for 22 years. Whoever you are, sit down with this book and see how to rise from the ashes of pain and rejection—and learn to soar! When Jeff Andler combines his skill as a story­teller, his raw honesty, and his deep commitment to scripture, the result is a book that will engage you in a path that travels from difficult struggles to liberating freedom. Abiding in the grip of Biblical truth, he shows you how to leave the past behind and defeat pain before it defeats you. Jeffery Paul Andler graduated from the University of West Florida and The New Orleans Baptist Theological Seminary. 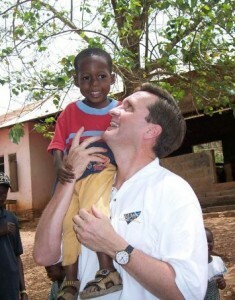 From 1971 until 2002, he served churches in Florida, Louisiana, and North Carolina and now leads Jeff Andler Ministries. He and his wife, Lynne, reside in Charlotte, North Carolina and have two adult children and three grandchildren.